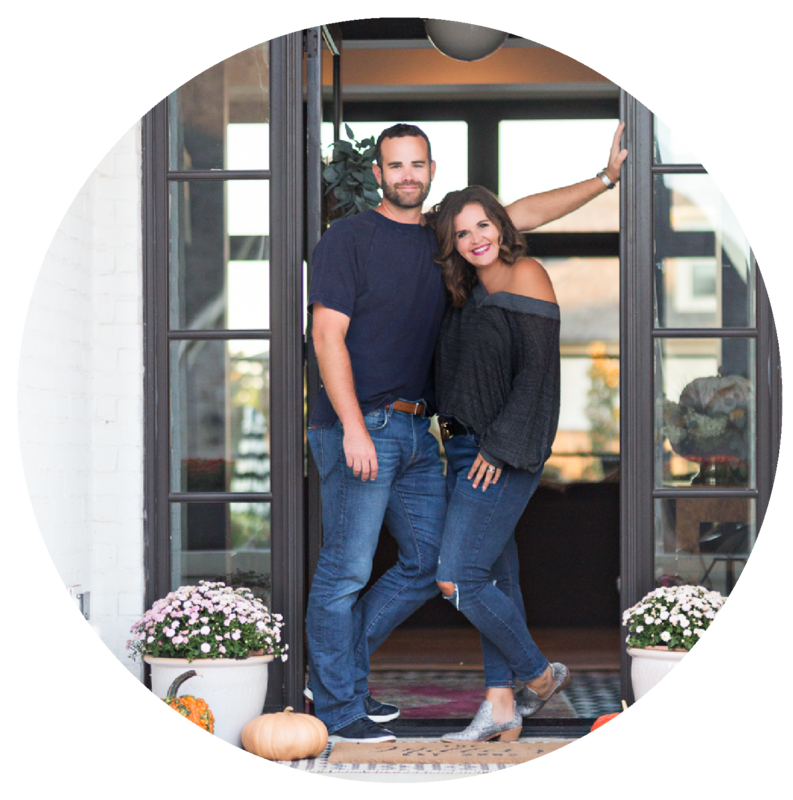 From the time they built their first home in 2002, husband and wife team Carissa (aka CC) and Mike Miller have loved the process of designing and building homes together. Over the years, with the help of Carissa’s dad—a retired minister who had built and renovated homes for years—CC and Mike designed and built their own homes, flipped a fire damaged home, and renovated their RV together, which was featured in Apartment Therapy. However, they both had other jobs and building and renovating was just a side gig….until May, 2016 that is. After designing and building their most recent home, CC and Mike decided to start an instagram account where they would share some of their projects and answer all of the questions they frequently received about the building and design process —What kind of wood floors are those? What color of paint did you use? Tell me about those black windows and doors you used? Where is your tile from? How do you save on costs when you build? Where do you buy your light fixtures? We decided it was time to finally start sharing some of the knowledge we had learned over the years of building our own homes and renovating. The husband and wife team had no idea where starting that Instagram account was going to lead them. Fast forward two years later and CC and Mike have been featured in One Kings Lane, House Beautiful, and Apartment Therapy, and have regularly worked as content creators with brands such as Pottery Barn, West Elm, Nordstrom, Minted, Home Depot, World Market, and more. They have remodeled homes for others, designed a restaurant and a dance studio, and are now doing custom building projects as well. Most recently, CC and Mike have launched their online site — a store they hope customers will feel is a trusted source to turn to for rugs, lighting, furniture, and home decor. This unexpected journey has led CC and Mike from Making Dream Homes Happen for themselves to making dream homes happen for others too. Whether it’s through custom building, designing, or renovating, nothing brings CC and Mike greater joy than helping people find happiness through creating their dream home. We are CC and Mike. High School Sweethearts. Best Friends. And now Business Partners. Whether you live in Tulsa or across the country, we would love to help make your dream home happen.